GREEN BAY, Wis. – It is tough to find a company that is tested and proven in mechanically engraving rolls for printing, coating and laminating. 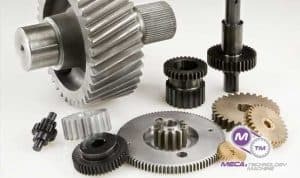 MECA & Technology Machine continues to provide precision mechanically engraved rolls just as it did when it was established in 1983. The process starts with engraving the coating cylinder. MECA engraves pockets (known as cells) on the surface of the cylinder which will contain certain fluids for depositing onto a substrate. The technicians at MECA know the size and pattern of these cells is critical. The depth of the cells will determine how much fluid is transferred, determining the density of the color printed. The rolls are used in a laminating and coating station by transferring fluids directly to a substrate. The roll is partially submerged in fluid (ink, adhesives, coatings, varnishes) where the cells fill with the chosen volume. The coater turns and a substrate is pressed against the engraved roll where the surface tension of the fluid pulls it out of the cell transferring it to the substrate. 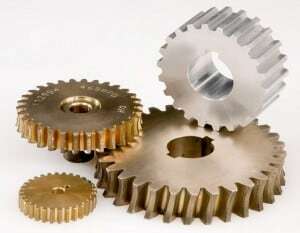 This can continue on for large volumes of processes before the cylinder wears down. MECA is known for being able to rework old worn rolls to original equipment manufacturer standards. They use copper plating and copper striking to accomplish this. 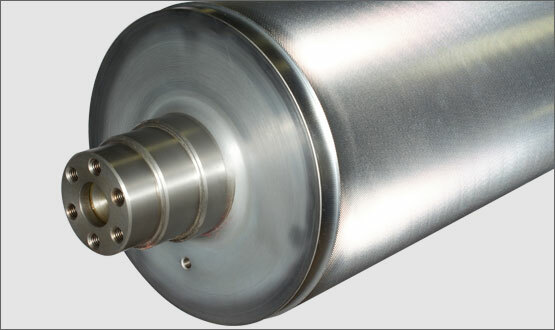 “This specialized technology provides a cost-effective alternative to purchasing new mechanically engraved cylinders,” Karchinski said. “Our technicians’ high level of expertise provides customers with great value for their investment.” Expanding the lifespan of worn rolls is essential in maintaining equipment costs. MECA & Technology Machine launched in 1983 and employs over 50 people at its Green Bay, Wisconsin facility. 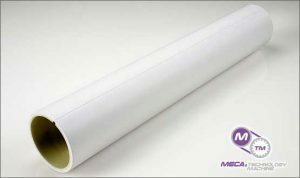 In addition to mechanically engraved rolls, MECA produces VSOP sleeves and other types of custom printing sleeves. For more information about these products, call Mick Karchinski at (920) 336-7382.